For generations, SHPTV has offered a steady stream of engaging, educational PBS Kids programming that sparks kids’ imaginations and fosters a life-long love of learning. The 24/7 PBS Kids channel builds on that mission, providing a service for children, parents, and teachers, alike. Designed to meet the needs of today’s kids, our free 24/7 services will provide learning opportunities for every child, especially those at risk, whenever and wherever they access media. The live stream expands to offer an integrated games feature, enabling your child to toggle between a PBS KIDS show and an activity that extends learning – all in one seamless digital experience! 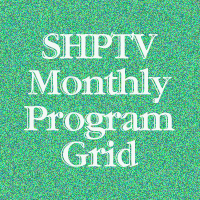 For viewers watching over-the-air, the SHPTV PBS Kids 24/7 channel will be available on 9.2 for KOOD, 21.2 for KDCK, 8.2 for KSWK and 19.2 for KWKS. To access the 24/7 PBS KIDS channel live stream, viewers will be able to watch through pbskids.org and on the PBS KIDS video app, which is available on a variety of mobile devices, tablets and over-the-top platforms such as Roku, Apple TV, Amazon Fire TV, Android TV, Xbox One and Chromecast. Friday, August 4: Splash and Bubbles Marathon! Friday, September 1: D.W. and the Beastly Birthday & two NEW Arthur episodes! Friday, September 8: Daniel Tiger's Neighborhood: King Daniel for a Day & back-to-school themed episodes! Friday, September 29: Splash and Bubbles Marathon! Friday, October 13: Super Spooky Halloween Marathon! Friday, October 20: The Cat in the Hat Knows a Lot About Halloween!